Horticulturist Dean Dietrich’s rendition of “Starry Night” adds charisma to Robins Visitor Center ceiling. Has there ever been a moment where you were looking at some type of art and suddenly felt inspired? Well, we have! 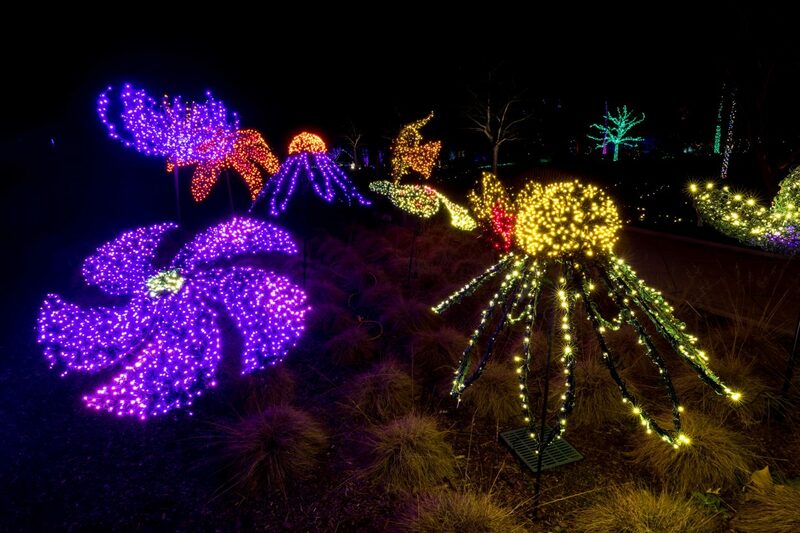 And that’s how this year’s theme for Dominion Energy GardenFest of Lights — Bringing Art to Light came to be. Working with the Virginia Museum of Fine Arts, we selected some of our favorite pieces of art — both known and unknown. From the paintings and sculptures, we drew inspiration to create our own versions of the work using flowers, lights and more! Light sculptures inspired by Claude Monet’s “Water Lilies,” which you’ll find in the Flagler Garden and Georges Seurat’s “A Sunday on La Grande Jatte” in the West Island Garden all add character to this year’s theme. 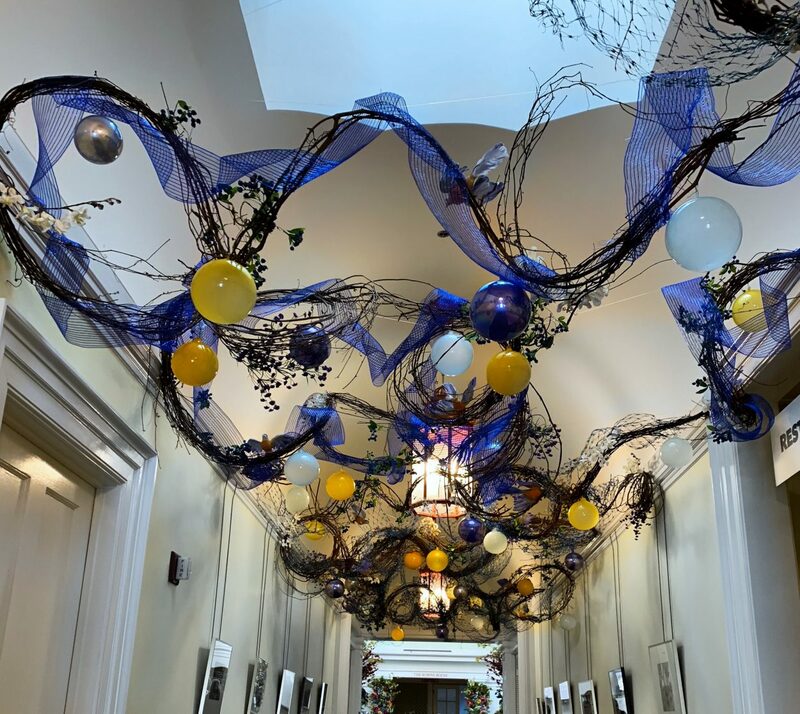 Decorations inspired by Vincent van Gogh’s “Starry Night,” depicted in vines and orbs in the Robins Visitor Center, flow overhead. And handcrafted displays from our horticulturists inspired by VMFA’s permanent collection, such as Theodore Robinson’s “In the Sun” and “Magnolia and Apple Blossom Window” by Tiffany Glass, will entertain you as you take in all the sights, smells and sounds of GardenFest. Staff and volunteers have worked together over the past year to thoughtfully and carefully plan and build each design. We’ve chosen materials like silk flowers, dried flowers, grapevines and more, to create displays that will tell the story of these paintings both through lights and decorations. Although the majority of our displays are created by our own staff, we have partnered with local metal fabricator and artist, Carter Pollard, who specialized in TIG welding, for eight new custom-made flower forms outside! Our favorite of these so far is inspired by van Gogh’s “Sunflowers.” You can’t miss them! You’ll see them just before you walk across the Lotus Bridge to the Children’s Garden. Also, don’t miss local muralist Nico Cathcart’s painted animals in the East Wing of the Conservatory as part of our homage to Henri Rousseau. Iron flowers, wrapped in lights, are handmade by the local artisan and welder Carter Pollard. But we didn’t just limit our exhibition to paintings. We’ve got performances too! New visual and performing arts this year include both opening night performances and pop-up musical events, in addition to Caroling Tuesdays, Artful Wednesdays, and Musical Thursdays (see details below). On opening night, watch as we flip the switch and illuminate one million lights! After the Garden comes to life with lights, we have a full night of events to keep you entertained for hours. Make sure to arrive early, doors open at 4 p.m., to beat the crowds and enjoy the Garden for even longer. 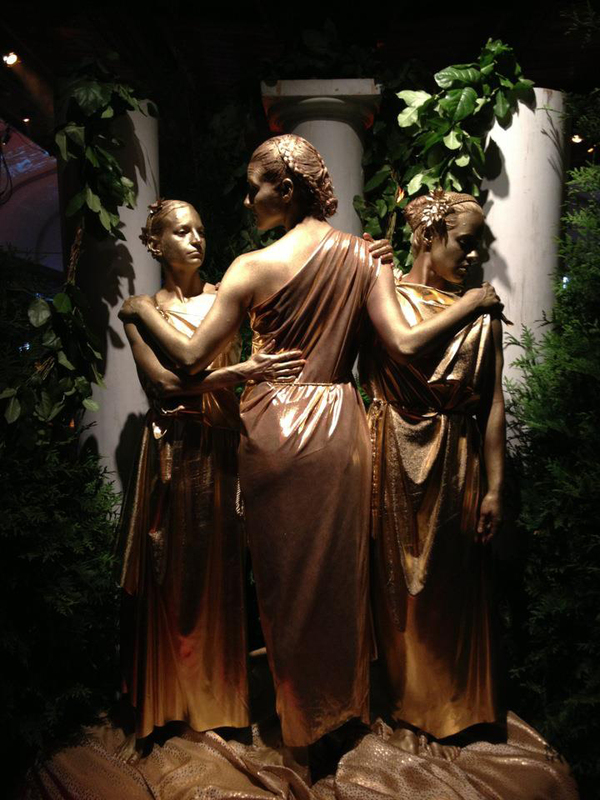 5:30 p.m.- 9:30 p.m. Find Host of Sparrows Aerial Circus in the Conservatory (which will be converted during GardenFest into the Roman Colloseum) as they perform as living statues, reminiscent of the ones found at the Parthenon in Greece. 6- 8 p.m. Wander the Garden and hear the small groups from the Henrico Pops Chorus perform seasonal favorites throughout the evening. 5:30 – 7:30 p.m. Look on as the Circular Expressions LED hoop dancers will dazzle you with a performance on the Rose Garden lawn, adjacent to the Conservatory. That’s just opening night! There’s so much more happening throughout the season. 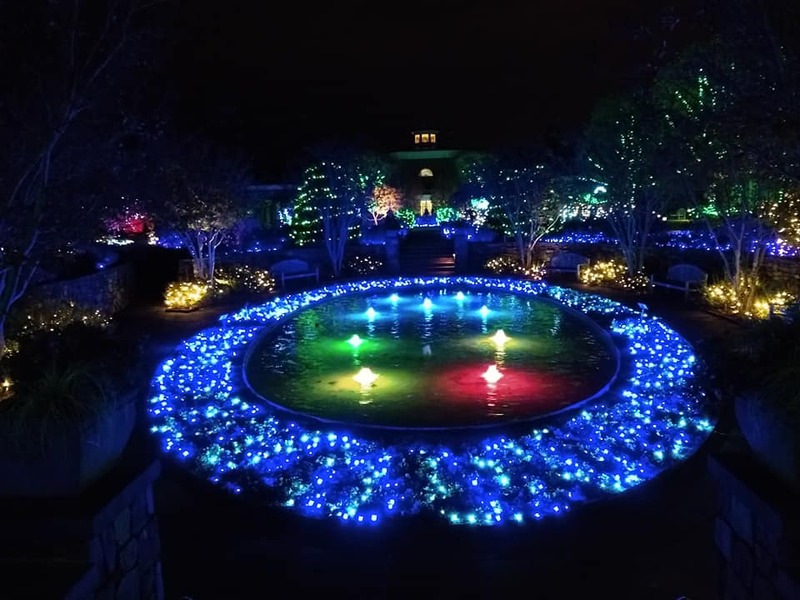 Friday, November 30, 2018: Stroll through the Garden and find the Monument City Choruses perform holiday classics from 6 – 8 p.m.
Wednesday, December 5, 2018: Head over to the Lora Robins Library to watch the Virginia Chorister perform 5:30 p.m.- 6 p.m.
Wednesday, December 12, 2018: Follow the whimsical sounds to the Lora Robins Library to watch the American Youth Harp Ensemble perform from 5:30 p.m.- 6:30 p.m.
As many of you know we have recurring nightly events such as Merry Mondays and Caroling Tuesdays. This year we are changing up our Wednesday and Thursday events to reflect our theme! Artful Wednesdays – a team of instructors from the VisArts Center will lead family-friendly art projects inspired by the works on display in the Garden. 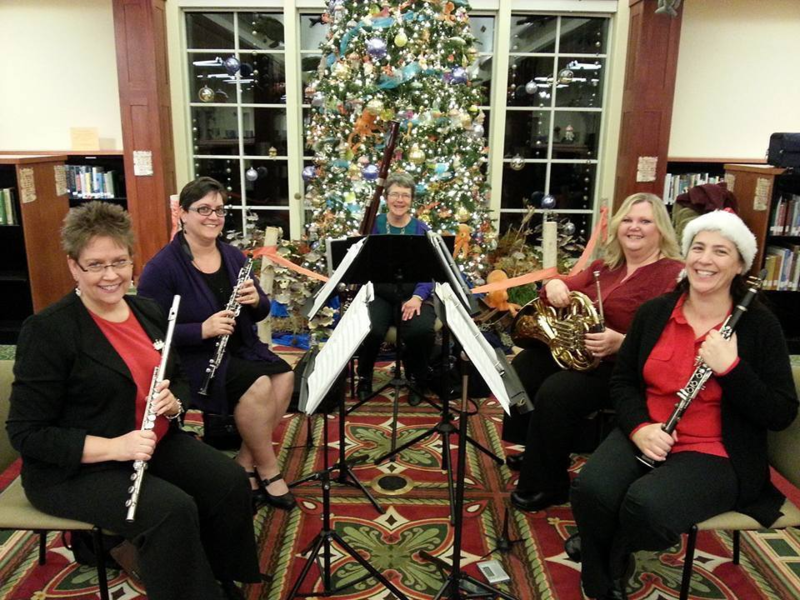 Each week will offer a different theme from 5 p.m.- 8 p.m.
Musical Thursdays – features a variety of local small acoustic ensembles in the Lora Robins Library from 6 p.m.- 8:30 p.m.
Look for live music in the Library on Thursday nights! GardenFest has always been our busiest time of year. We love to see the Garden from your perspective so make sure you come prepared to take a lot of photos to submit to our #GardenFest Instagram Contest. If you aren’t sure what to expect and feeling a little overwhelmed with all of the events, we get it! You can find some tips on what to expect and if you’re visiting with children we have some extra information for you, as well. 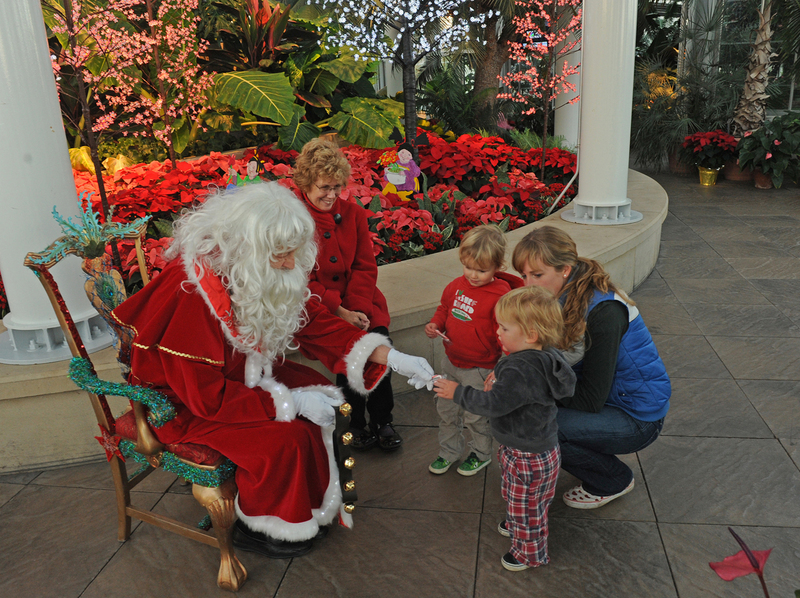 In case you’re wondering, yes, Santa will be in the conservatory every Monday (though the Monday before Christmas) to take photos with your little ones. Still have questions? Everything you need to know can be found by visiting our main GardenFest page. As you can see, no matter what night you come there will be plenty to see and each night will be a bit of a different experience. We know that you’re just as excited as we are to explore all the new things happening this year. So bundle up, gather the family, and get ready for a fun-filled night!